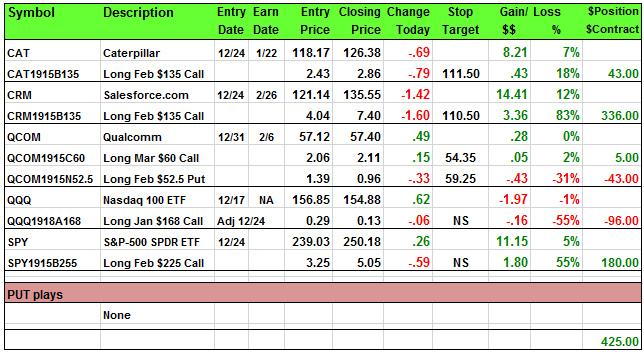 Despite the 400-point Dow drop at the open this was a winning session. Unfortunately, the afterhours session was a major loser. 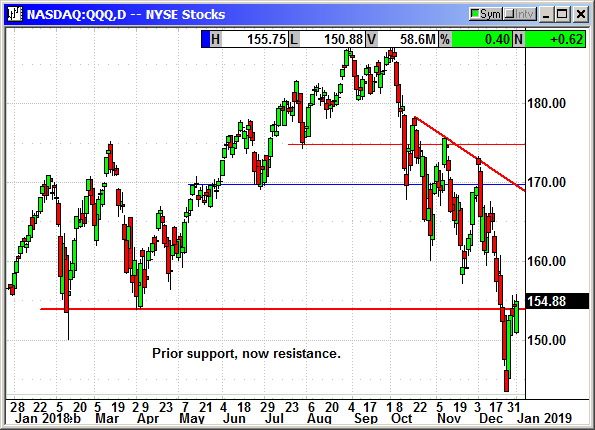 Apple warned on Q4 and the futures have imploded with the S&P futures down -34. This strongly suggests Thursday could be painful. They warned on macro economic trends that also suggest China and the global economy could be declining sharply. 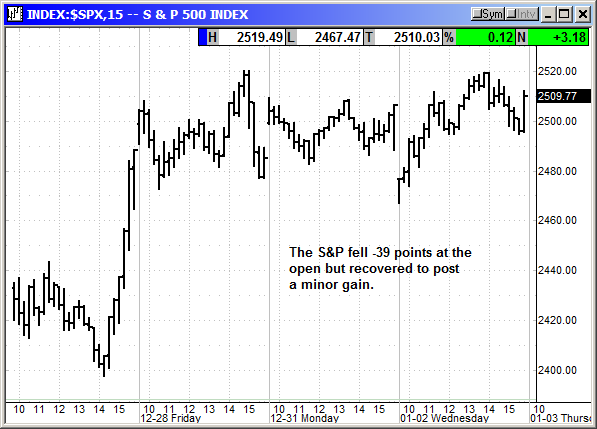 This means the opening dip is not likely to return to positive territory as we did today. The long position was entered at the open on Monday. 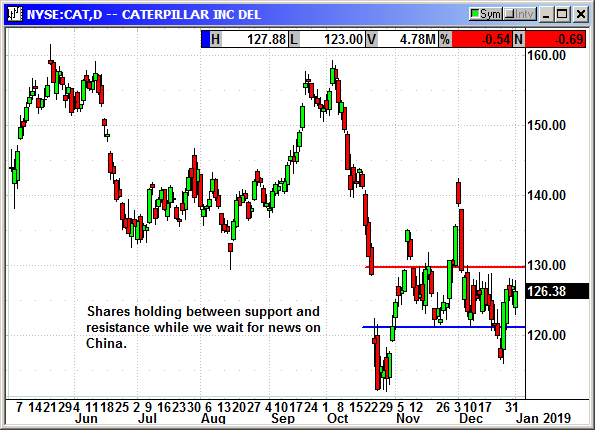 China concerns came back to haunt us with weak economic data from their manufacturing sector. 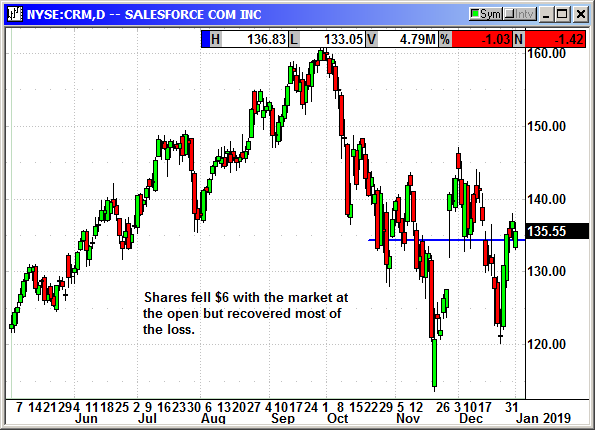 Shares declined slightly but were well off the lows. No specific news. Down -$6 at the open with the 400-point drop in the Dow but recovered most of it. No specific news. Down -$1.50 in afterhours on the Apple guidance warning. 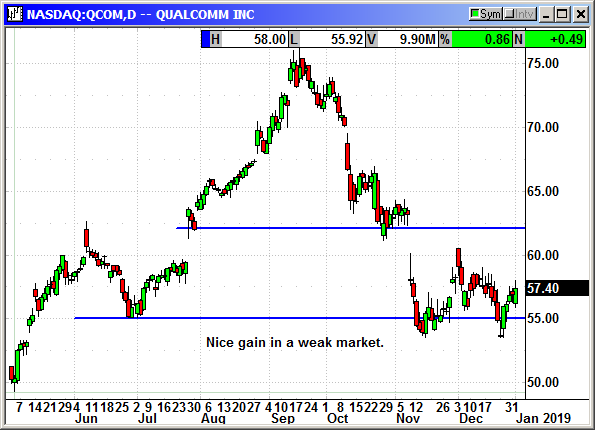 Minor gain after a major drop with the market at the open. However, the Apple guidance warnings is going to take a huge bite out of the market on Thursday. 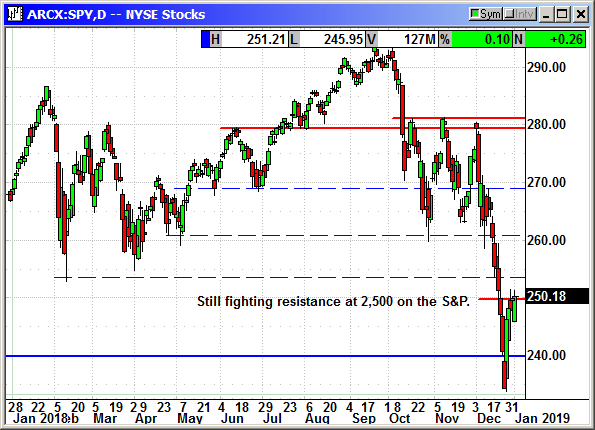 The SPY is still fighting resistance at 2,500 on the S&P.